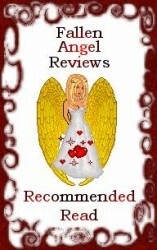 I am so thrilled to share that Yin Yang has gotten a couple of very sweet reviews including a Recommended Read from Fallen Angel Reviews! Yay! “Yin Yang” is the fourth book in Sedonia Guillone’s on going White Tiger series. While this novella is a fast read, it is also a very satisfying one. For fans of this series the characters will be familiar, as Basho and Timothy finally get their story told. Friends since early childhood the two are only separated after a violent attack. The author tells their tale of love, tragedy, and loss in such a way that the reader can not help but be drawn in. The author also brings back one of my favorite characters, Ryu, to help bring these two back together. Thank you to both reviewers for such kind reviews.